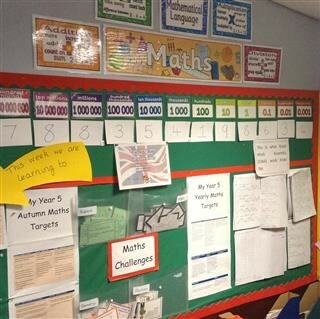 Our aim in maths is to develop children into confident mathematicians who are able to use mathematics as a tool in a wide range of activities both in and out of school. 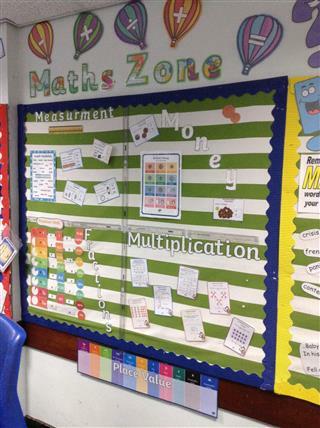 Throughout the school the children are involved in mathematical activities based on the requirements of the National Curriculum. 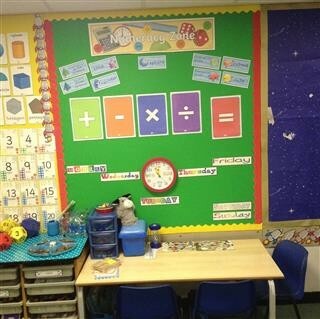 Every unit of work is supported by our calculation policy which details the strategies children will be taught co complete calculations in addition, subtraction, multiplication and division. 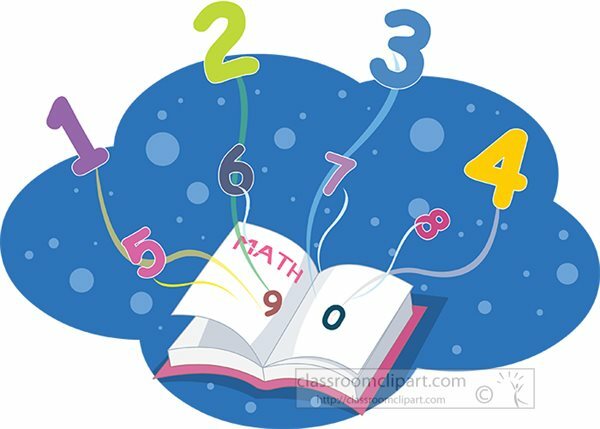 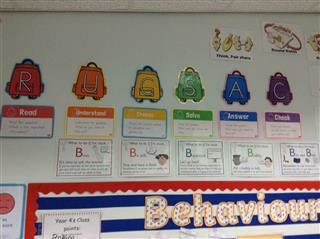 A high priority is given to teaching children mental strategies to calculate independently. 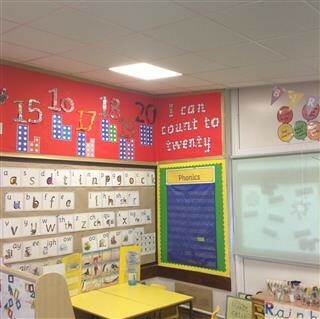 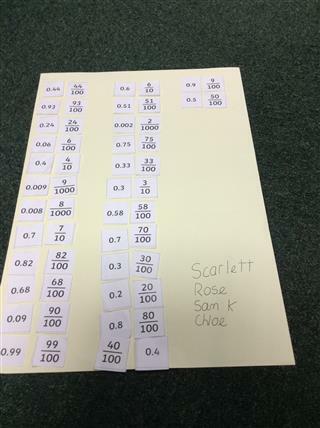 They partake in reasoning activities and use both basic and more advanced numeracy skills as they move through the school. 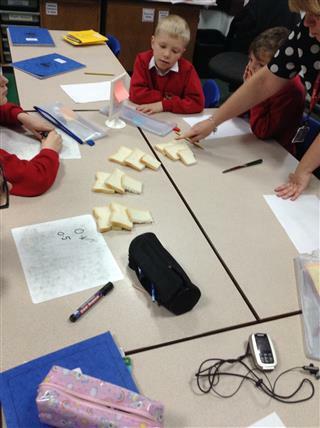 The children are given many opportunities to gain knowledge and understanding of mathematics through practical experiences in the classroom. 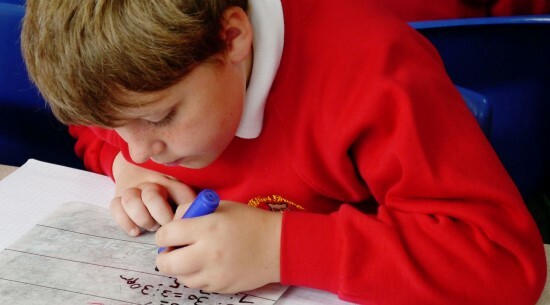 Children make progress as mathematicians when they regularly repeat skills and practice them until they become embedded. 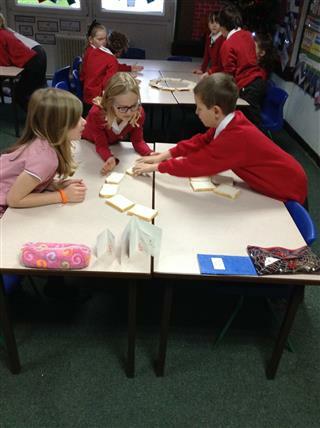 Like our use of Sumdog we believe practicing these skills can be done in a fun and invigorating way for our children, so the use of the an exciting game or interesting activity can be highly motivating way for these skills to become embedded. 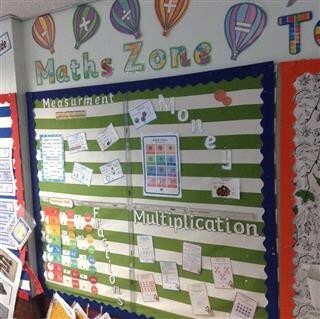 Please use the useful links (interactive maths activities) to find educational games that you can use with your children to support their learning of mathematics. 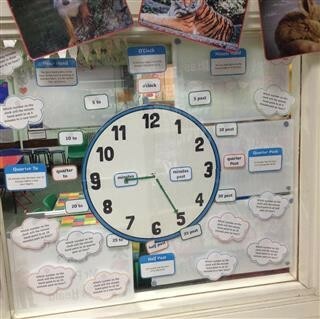 The websites are useful for children from Reception to Year 6. 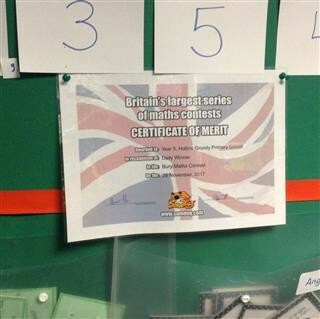 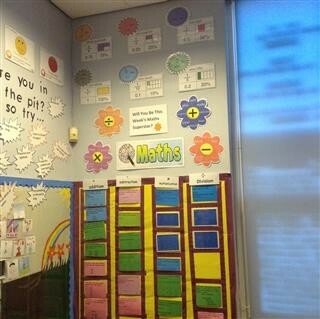 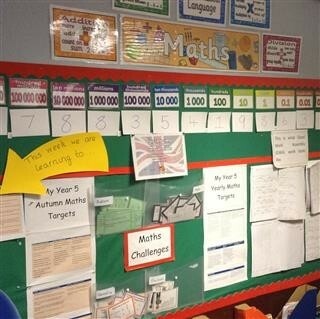 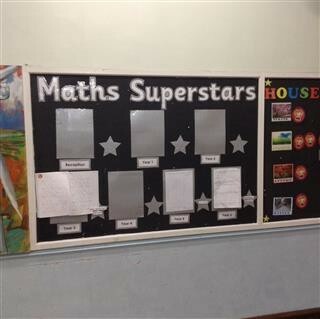 The Maths learning environment at Hollins Grundy. 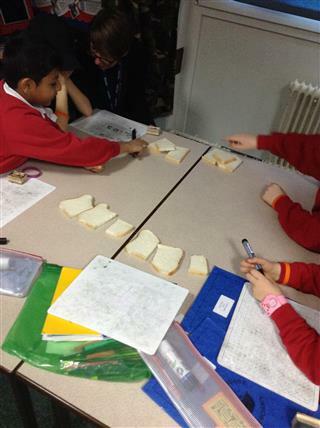 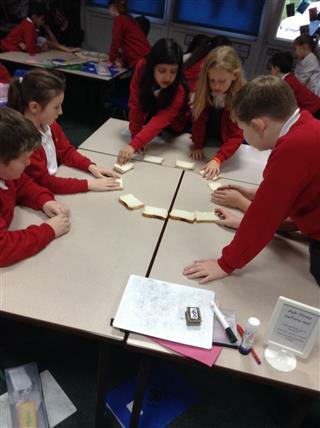 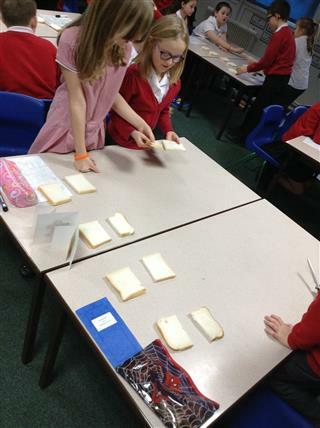 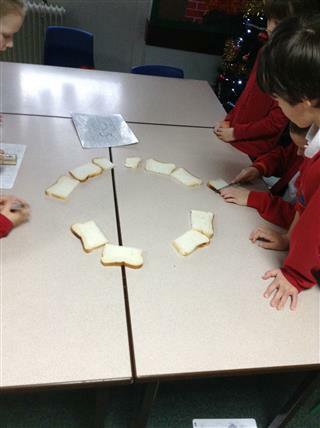 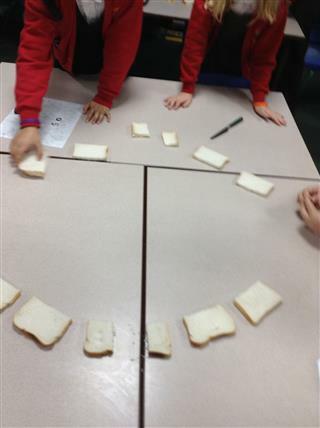 Year 4 used bread to show their understanding of fractions.